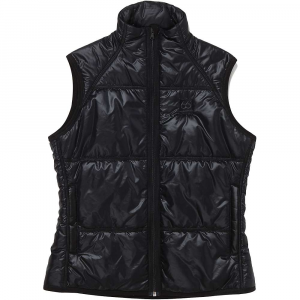 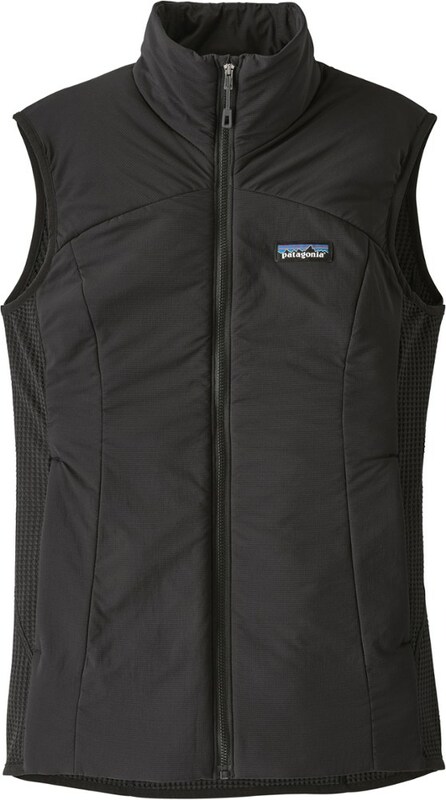 This vest features wind-resistant dobby and novelty textured high-pile fleece for warmth and style. 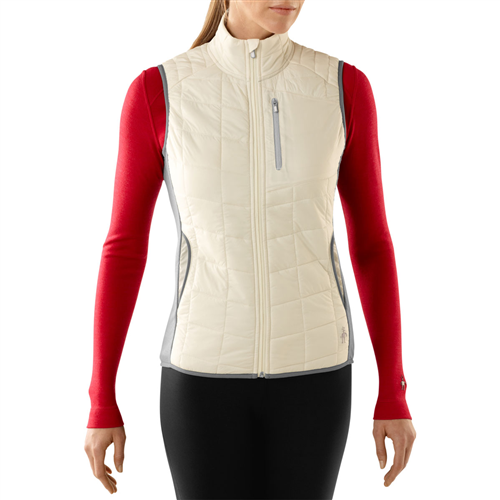 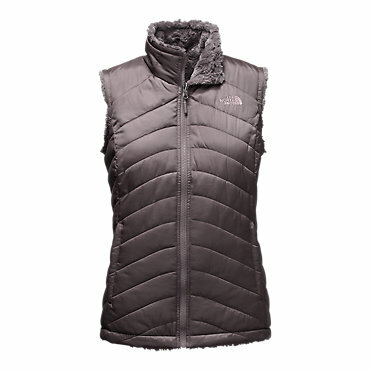 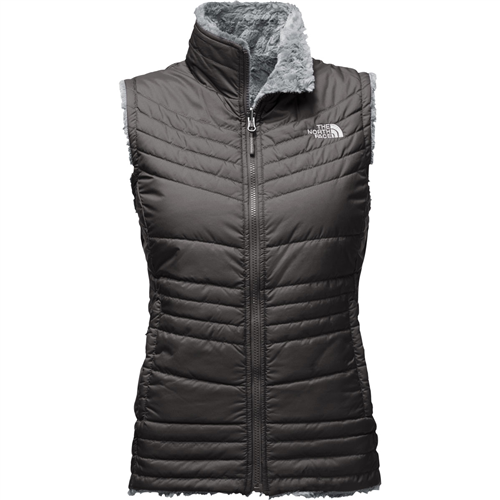 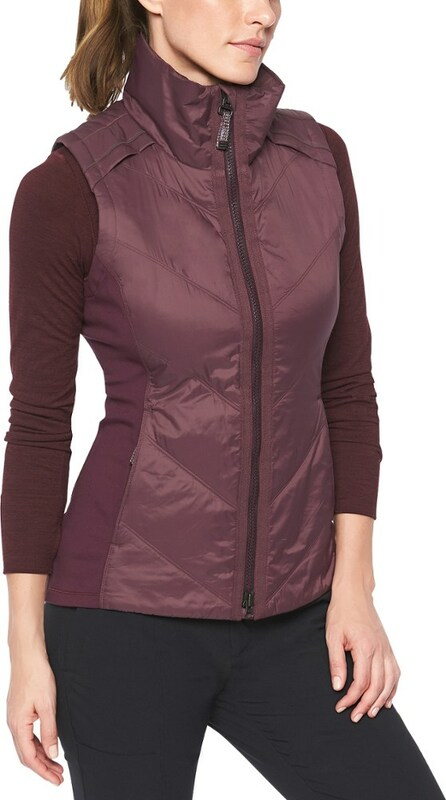 The North Face Womens Mossbud Swirl Reversible Vest - Closeout - A reversible design makes this versatile, lightly insulated vest an ideal outer layer or mid-layer for outdoor exploration in cool to cold conditions. 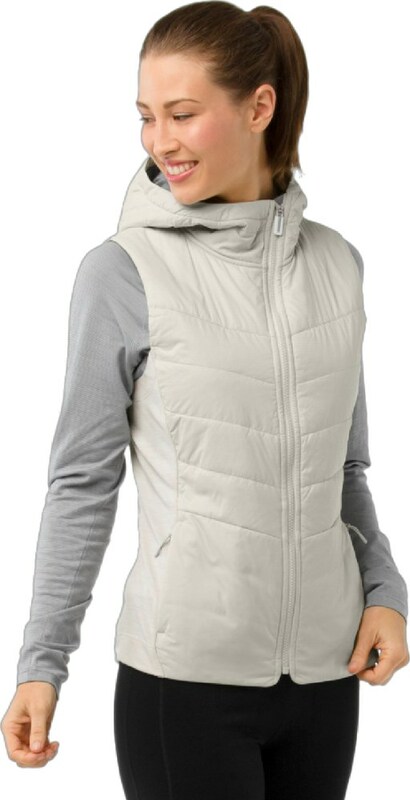 On blustery days, wear the soft raschel fleece against your skin and the durable polyester facing the exterior.